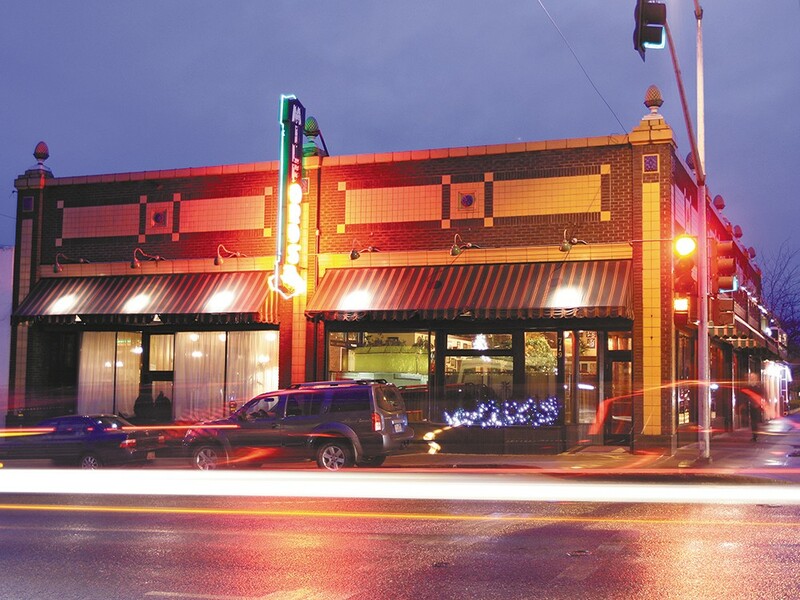 An old-time feel and classic cuisine have made Milford\'s a Spokane favorite. Milford’s is the definition of well-established. This iconic restaurant and bar has led a luxurious life, starting as a tavern in 1911, then a cigar store, market and barber shop. Original cigar cases, an antique mahogany bar, pin-up girls and stamped-tin ceilings exude a dim, masculine atmosphere. The old-timey decor is classic, but the menu is in no way stuck in the past. Start with lush, fresh salads, then maybe split some crab-stuffed mushrooms or escargot bourguignonne (that’s French for delicious, essentially) with your tablemates. The entrée menu features modern yet playful fish and seafood dishes at a hefty yet justifiable price. Just take your pick of fish — salmon, steelhead, cod, lobster, scallops, you name it. If you or your guest has a fish aversion, maybe you should reconsider your restaurant choice. But if you’re dead set, know that you still have great options. There’s a pesto chicken breast and beefsteak as well. Just try the fish, though. It’s what they do best. It’s only open for dinner and you’ll want to call ahead for reservations.